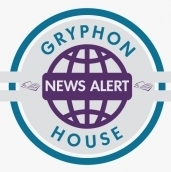 Gryphon House, Inc. announces Simple STEAM, an activity book to help young learners build 21st-century skills and prepare for kindergarten through easy and approachable activities. Gryphon House, Inc. announces Little Walks, Big Adventures: 50+ Ideas for Exploring with Toddlers, an activity guidebook helping early childhood educators and caregivers increase toddlers’ understanding of the world around them. Using fun and adventurous local explorations, outdoor games and activities, this book advances toddlers’ academic growth and development. 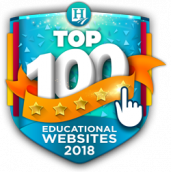 Chosen for our vast assortment of resource books and activities for those birht to age eight, Gryphon House was selected by voters at Homeschool.com as one of the best online resources for early childhood education. 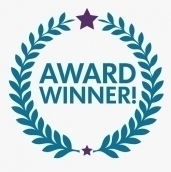 Congratulations to all our authors and staff, and thank you to Homeschool.com and their readers! Our Fall 20167 release, Picturing the Project Approach: Creative Explorations in Early Learning, has won an Academics' Choice Smart Books Award! Read the stellar quote from one of the judges. Congrats to Authors Sylvia C. Chard, Yvonne Kogan, and Carmen A Castillo! Our Fall 20167 release, Exploring the Science of Sounds, has won an Academics' Choice Smart Books Award! Read the stellar quote from one of the judges. Congrats to Author Abigail Flesch Connors!